Sale. You save $14.00 ea. Teardrop. Single-Sided Show Thru 80%+. Outdoor waterproof. Long life. Outdoor inks and double stitching. Ideal for advertising and branding. 'Flag Only' includes full color graphics, elastic clip, sleeve edge & capper. Suits any flexible 126"~130" inch pole range. 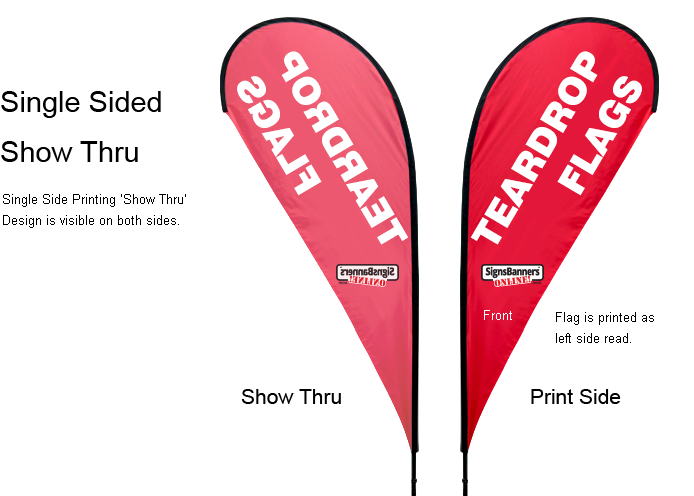 Details: Single Sided Teardrop flags are 5oz show thru printed direct sublimation polyfabric with genuine outdoor ink. High photo quality printing suitable for displaying outdoor . How to setup the printing file and upload: Do-It-Yourself: Use this template for the Small Teardrop and overlay your creative. Do not change the template size. Follow the How to Setup instructions. Single Sided: This product is manufactured single sided showthru. Sale. You save $21.29 ea. Sale. You save $26.29 ea. Sale. You save $23.29 ea. Sale. You save $27.54 ea. Sale. You save $29.29 ea. Sale. You save $26.50 ea. Teardrop. Blockout Double Sided. Opaque Inner Layer. Outdoor waterproof. Long life. Outdoor inks and double stitching. Ideal for advertising and branding. 'Flag Only' includes full color graphics, elastic clip, sleeve edge & capper. 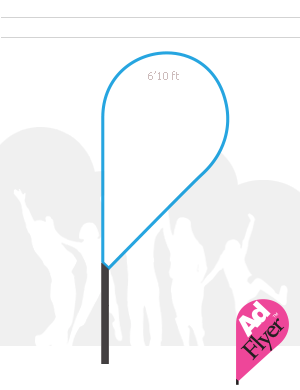 Suits any flexible 126"~130" inch pole range. 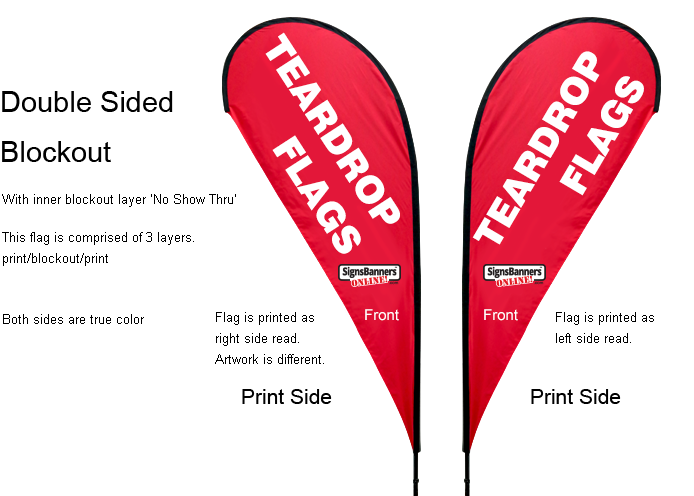 Details: Double Sided Blockout Teardrop flags are opaque 5oz 3x layer blockout printed direct sublimation polyfabric with genuine outdoor ink. High photo quality printing suitable for displaying outdoor . How to setup the printing file and upload: Do-It-Yourself: Use this template for the Small Teardrop and overlay your creative. Do not change the template size. Artwork is different both sides. Follow the How to Setup instructions. Double Sided: This product is manufactured blockout 'non see thru' with printing on both sides. Artwork is different both sides. Sale. You save $22.00 ea. Sale. You save $38.79 ea. Sale. You save $35.79 ea. Sale. You save $30.04 ea. Sale. You save $41.79 ea. Sale. You save $17.00 ea. Teardrop. Single-Sided Show Thru 80%+. Outdoor waterproof. Long life. Outdoor inks and double stitching. Ideal for advertising and branding. 'Flag Only' includes full color graphics, elastic clip, sleeve edge & capper. Suits any flexible 135"~138" inch pole range. How to setup the printing file and upload: Do-It-Yourself: Use this template for the Medium Teardrop and overlay your creative. Do not change the template size. Follow the How to Setup instructions. Sale. You save $28.29 ea. Sale. You save $43.29 ea. Sale. You save $30.29 ea. Sale. You save $34.54 ea. Sale. You save $36.29 ea. Sale. You save $31.00 ea. Teardrop. Blockout Double Sided. Opaque Inner Layer. Outdoor waterproof. Long life. Outdoor inks and double stitching. Ideal for advertising and branding. 'Flag Only' includes full color graphics, elastic clip, sleeve edge & capper. 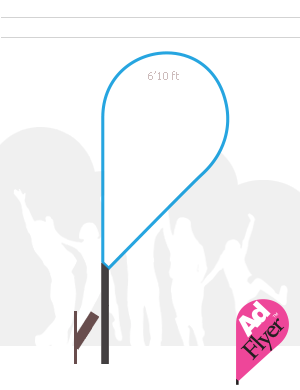 Suits any flexible 135"~138" inch pole range. 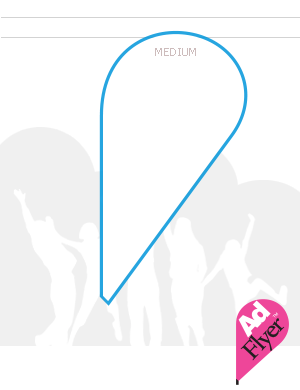 How to setup the printing file and upload: Do-It-Yourself: Use this template for the Medium Teardrop and overlay your creative. Do not change the template size. Artwork is different both sides. Follow the How to Setup instructions. Sale. You save $42.29 ea. Sale. You save $57.29 ea. Sale. You save $44.29 ea. Sale. You save $48.54 ea. Sale. You save $50.29 ea. Sale. You save $15.25 ea. Teardrop. Single-Sided Show Thru 80%+. Outdoor waterproof. Long life. Outdoor inks and double stitching. Ideal for advertising and branding. 'Flag Only' includes full color graphics, elastic clip, sleeve edge & capper. Suits any flexible 182"~184" inch pole range. 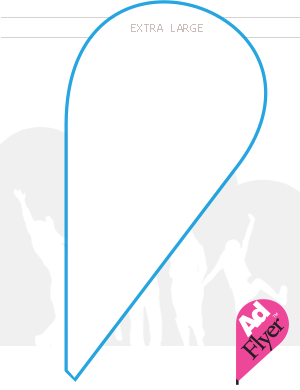 How to setup the printing file and upload: Do-It-Yourself: Use this template for the Large Teardrop and overlay your creative. Do not change the template size. Follow the How to Setup instructions. Sale. You save $28.90 ea. Sale. You save $43.90 ea. Sale. You save $30.90 ea. Sale. You save $35.15 ea. Sale. You save $46.90 ea. Sale. You save $34.00 ea. Teardrop. Blockout Double Sided. Opaque Inner Layer. Outdoor waterproof. Long life. Outdoor inks and double stitching. Ideal for advertising and branding. 'Flag Only' includes full color graphics, elastic clip, sleeve edge & capper. 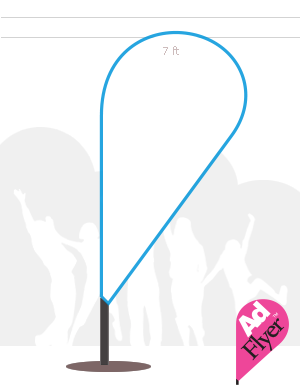 Suits any flexible 182"~184" inch pole range. 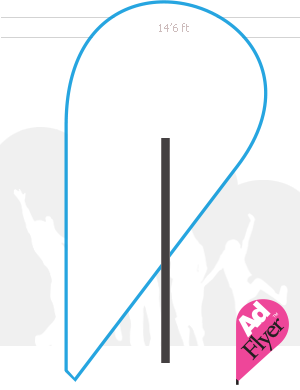 How to setup the printing file and upload: Do-It-Yourself: Use this template for the Large Teardrop and overlay your creative. Do not change the template size. Artwork is different both sides. Follow the How to Setup instructions. Sale. You save $47.97 ea. Sale. You save $62.97 ea. Sale. You save $49.97 ea. Sale. You save $54.22 ea. Sale. You save $55.97 ea. XL Giant 54" x 143"
Sale. You save $14.50 ea. Teardrop. Single-Sided Show Thru 80%+. Outdoor waterproof. Long life. Outdoor inks and double stitching. Ideal for advertising and branding. 'Flag Only' includes full color graphics, elastic clip, sleeve edge & capper. 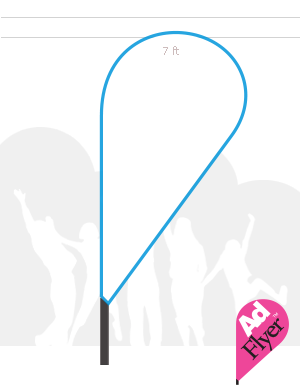 Suits any flexible 220"~224" inch pole range. How to setup the printing file and upload: Do-It-Yourself: Use this template for the Extra Large Teardrop and overlay your creative. Do not change the template size. Follow the How to Setup instructions. Sale. You save $32.62 ea. Teardrop. Single-Sided Show Thru 80%+. Outdoor waterproof. Long life. Outdoor inks and double stitching. Ideal for advertising and branding. 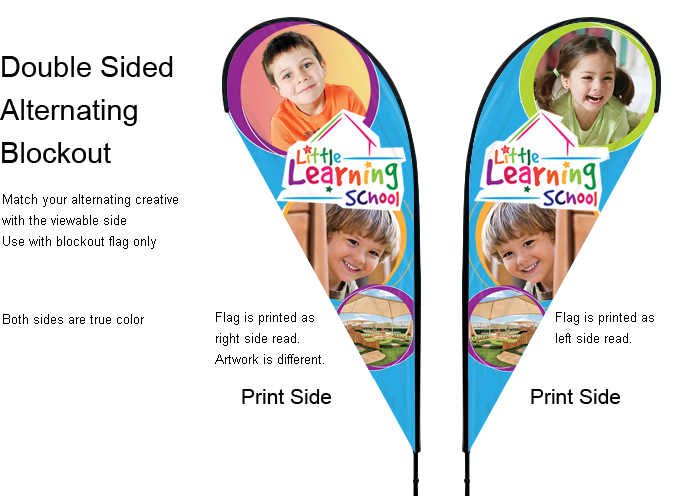 Flag includes full color graphic print, flexible 220" inch pole, flag clip, sleeve edge & capper. Overall Display Height: 14'6"
Sale. You save $44.62 ea. Teardrop. Single-Sided Show Thru 80%+. Outdoor waterproof. Long life. Outdoor inks and double stitching. Ideal for advertising and branding. Flag includes full color graphic print, flexible 220" inch pole, metal base, flag clip, sleeve edge & capper. Overall Display Height: 14'6"
Sale. You save $43.28 ea. Teardrop. Single-Sided Show Thru 80%+. Outdoor waterproof. Long life. Outdoor inks and double stitching. Ideal for advertising and branding. Flag includes full color graphic print, flexible 220" inch pole, ground spike, flag clip, sleeve edge & capper. Overall Display Height: 14'6"
Sale. You save $47.53 ea. Teardrop. Single-Sided Show Thru 80%+. Outdoor waterproof. Long life. Outdoor inks and double stitching. Ideal for advertising and branding. Flag includes full color graphic print, flexible 220" inch pole, cross feet base, flag clip, sleeve edge & capper. Overall Display Height: 14'6"
Sale. You save $49.28 ea. Teardrop. Single-Sided Show Thru 80%+. Outdoor waterproof. Long life. Outdoor inks and double stitching. Ideal for advertising and branding. Flag includes full color graphic print, flexible 220" inch pole, wall mount, flag clip, sleeve edge & capper. 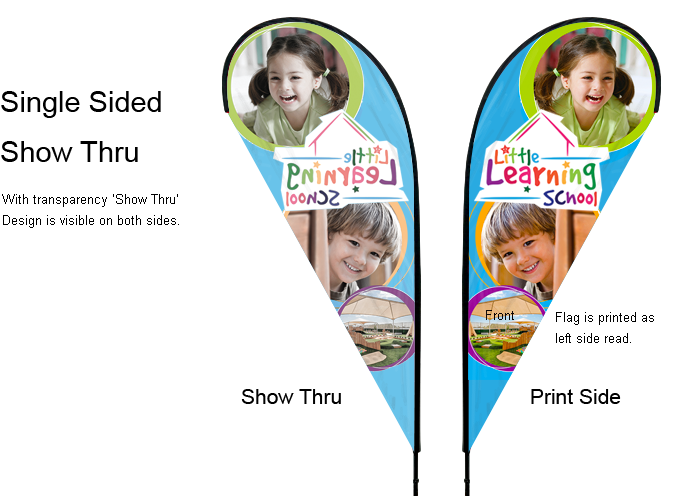 Overall Display Height: 14'6"
Details: Teardrop flags are 11oz show thru OR 6oz/5oz/6oz 3 layer blockout printed polyfabric with genuine UV fade resistant ink. Photo quality printing suitable for displaying outdoor. All flags are considered short term life 6mths. 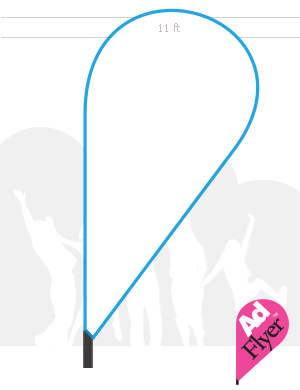 How to setup the printing file and upload: Do-It-Yourself: Use this template for the Teardrop Flag and overlay your creative. Do not change the template size. Add to Cart, then Upload matched to the line item ready for printing, View and check each Instant Preview, Pay and Approve. You'll recieve a special web link and email. Then, watch as your order moves around the factory and to your door. Teardrop. Blockout Double Sided. Opaque Inner Layer. Outdoor waterproof. Long life. Outdoor inks and double stitching. Ideal for advertising and branding. 'Flag Only' includes full color graphics, elastic clip, sleeve edge & capper. Suits any flexible 220"~224" inch pole range. 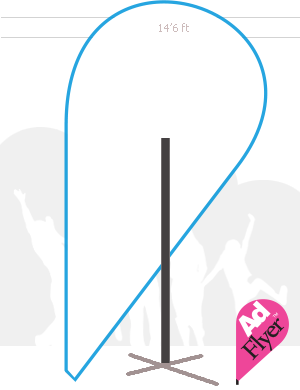 How to setup the printing file and upload: Do-It-Yourself: Use this template for the Extra Large Teardrop and overlay your creative. Do not change the template size. Artwork is different both sides. Follow the How to Setup instructions. Sale. You save $41.28 ea. Teardrop. Blockout Double Sided. Opaque Inner Layer. Outdoor waterproof. Long life. Outdoor inks and double stitching. Ideal for advertising and branding. Flag includes full color graphic print, flexible 220" inch pole, flag clip, sleeve edge & capper. Overall Display Height: 14'6"
Sale. You save $53.28 ea. Teardrop. Blockout Double Sided. Opaque Inner Layer. Outdoor waterproof. Long life. Outdoor inks and double stitching. Ideal for advertising and branding. 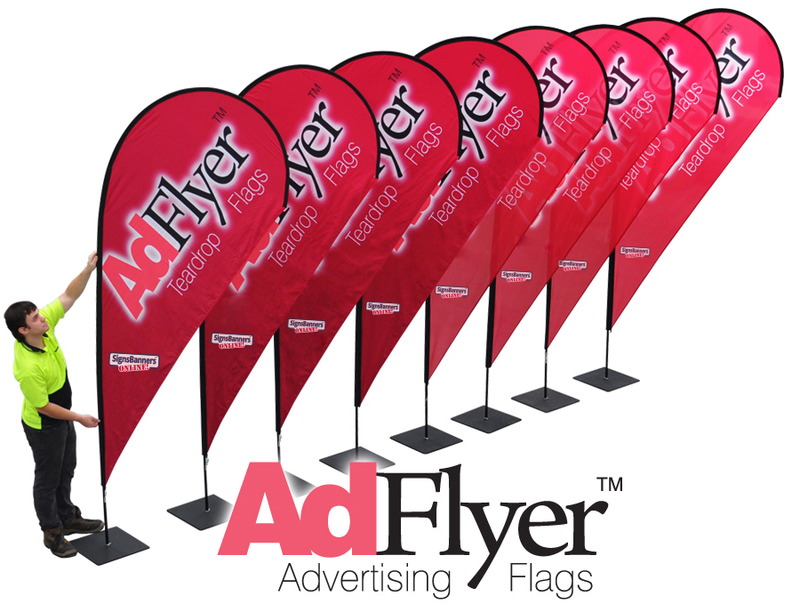 Flag includes full color graphic print, flexible 220" inch pole, metal base, flag clip, sleeve edge & capper. Overall Display Height: 14'6"
Sale. You save $34.62 ea. Teardrop. Blockout Double Sided. Opaque Inner Layer. Outdoor waterproof. Long life. Outdoor inks and double stitching. Ideal for advertising and branding. Flag includes full color graphic print, flexible 220" inch pole, ground spike, flag clip, sleeve edge & capper. Overall Display Height: 14'6"
Teardrop. Blockout Double Sided. Opaque Inner Layer. Outdoor waterproof. Long life. Outdoor inks and double stitching. Ideal for advertising and branding. Flag includes full color graphic print, flexible 220" inch pole, cross feet base, flag clip, sleeve edge & capper. 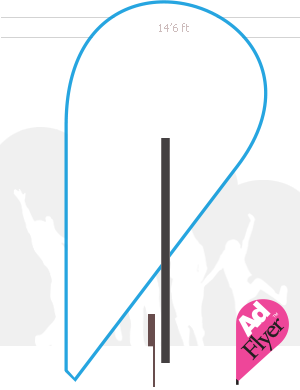 Overall Display Height: 14'6"
Teardrop. Blockout Double Sided. Opaque Inner Layer. Outdoor waterproof. Long life. Outdoor inks and double stitching. Ideal for advertising and branding. Flag includes full color graphic print, flexible 220" inch pole, wall mount, flag clip, sleeve edge & capper. 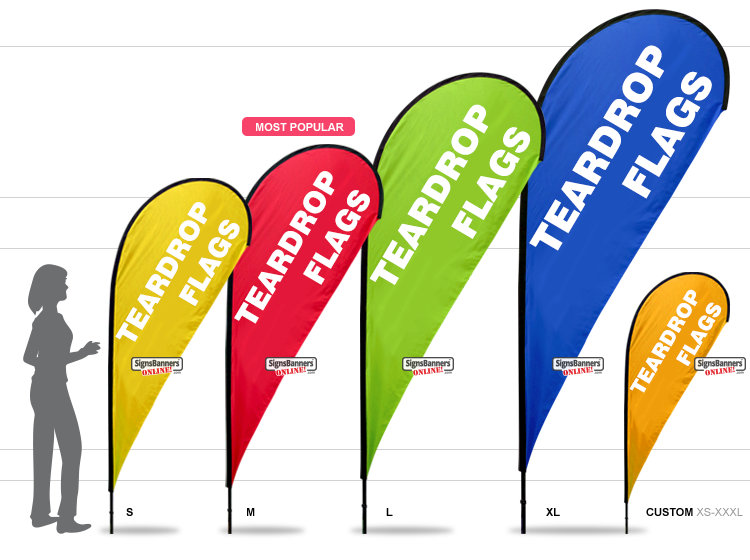 Overall Display Height: 14'6"
Height Comparisons - Teardrop Flags. Always go bigger: Larger flags can be seen from further distances and the price between each model is minimal. 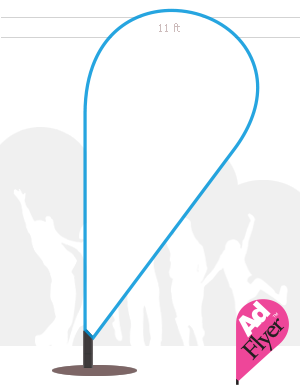 The viewing distance is 25 feet for each size increase and that leads to better outdoor advertising. 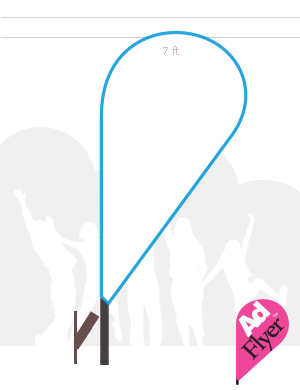 Visual comparison of 5'2" girl next to the teardrop flag sizes we make. *Graphic guide for illustration only. Measure actual sizes best suited to your purpose. Show Thru is a traditional flag printed one side and visible graphics on both sides. 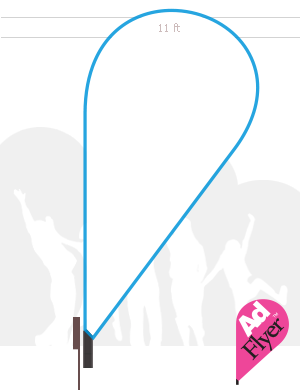 It offers a nice product that flys well, is lighter in the wind and cheaper. Blockout is a triple layer composition and heavier. Intended for quality graphics on both sides. Artwork should be setup differently. Position your creative understanding the 'read' of the banner. Adjust your positioning. Use big bold graphics and 'imagery' that conveys a big message. Flags are flying and look better with giant graphics. Longer lasting, higher print definition and exceptional colors, when your'e looking for a cheap flag with quality features, it's why we recommend AdFlyer as our source of flag stock.